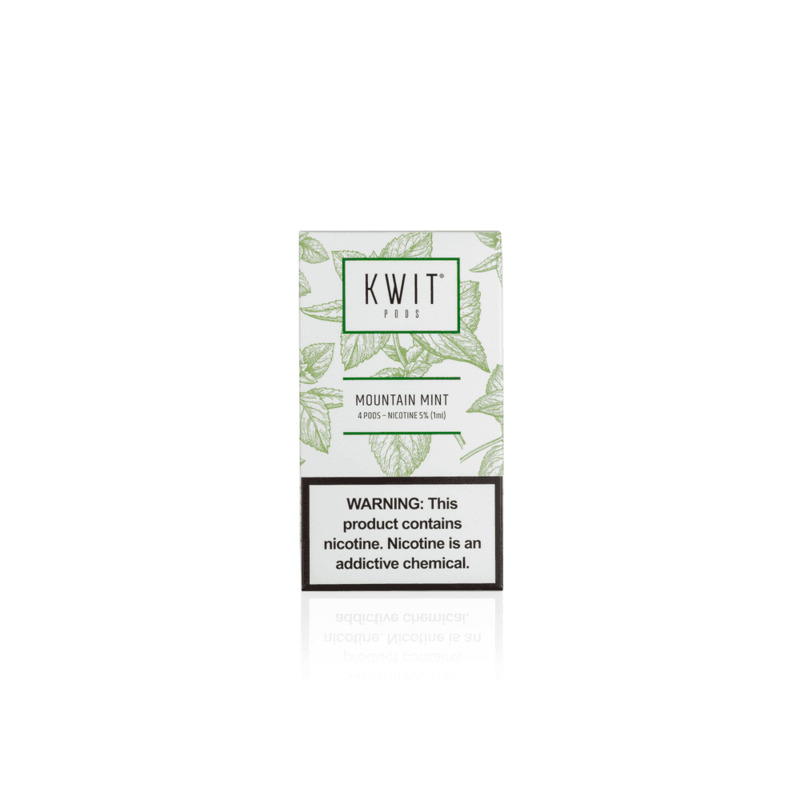 Kwit Mountain Mint pods for the Kwit Stick are a flavor experience like no other. Discover the cool, refreshing taste of mint, picked straight from the side of a misty mountain for an incredibly icy vaping experience. Pretty good! These burn much more reliably than their best-known competitor (no names in case it's against the ruuls): no leaking or any such nonsense. And the fact that they're refillable is AWESOME. The flavor is maybe not as good as the aforementioned competitor, but who cares when you get three or four refills of whatever you want?